Anton Page are pleased to announce the successful letting of a south suite on the second floor of 55 Goswell Road, in the creative and design hub of Clerkenwell. Moments from both Clerkenwell Road and Old Street, this City Fringe district is renowned for being full of character and one of the most well connected neighborhoods in London. 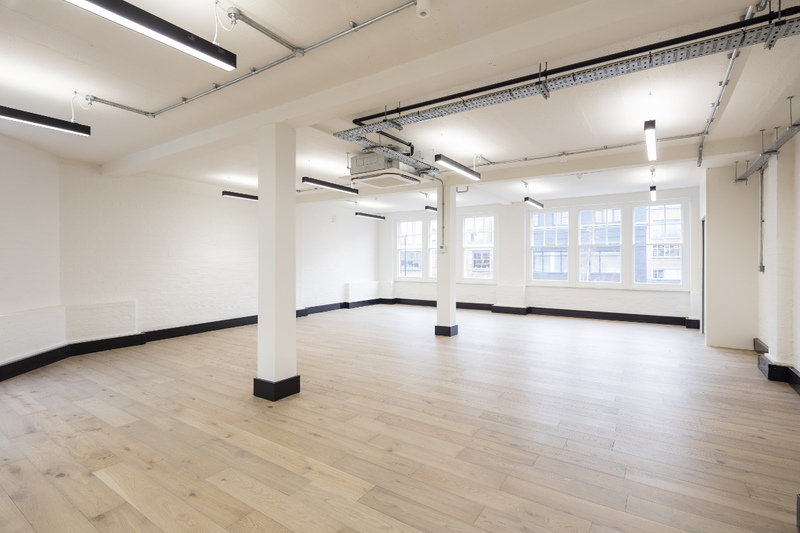 55 Goswell Road was brought to the market just weeks ago and consists of 6 newly refurbished office studios, all with excellent natural light, new wooden floors, comfort cooling/heating, Fibre internet, a passenger lift and access control. The spaces available offer great value for money and Casco Financial Services have swiftly taken a suite of 635 sq. ft. for just £39,000 per annum for a total of three years. Casco are a financial advisory firm who incorporate technology into their services including video alerts and e-seminars. They were keen to secure a space reflective of the nature of their business and will make full use of what the building has to offer. To arrange a viewing of any the remaining units, call us now on 020 7336 1313 or email melissa@antonpage.com.